Switchback’s founder, Steve Hunter was working for Sanctuary Toronto to establish a work initiative for the homeless population and was struck by what he saw as a missing element in the fundamental human experience: the opportunity to be productive. Following a basic blueprint for social enterprise, Steve submitted a business plan to the Toronto Enterprise Fund and won funding to put the wheels in motion for Switchback Cyclery. 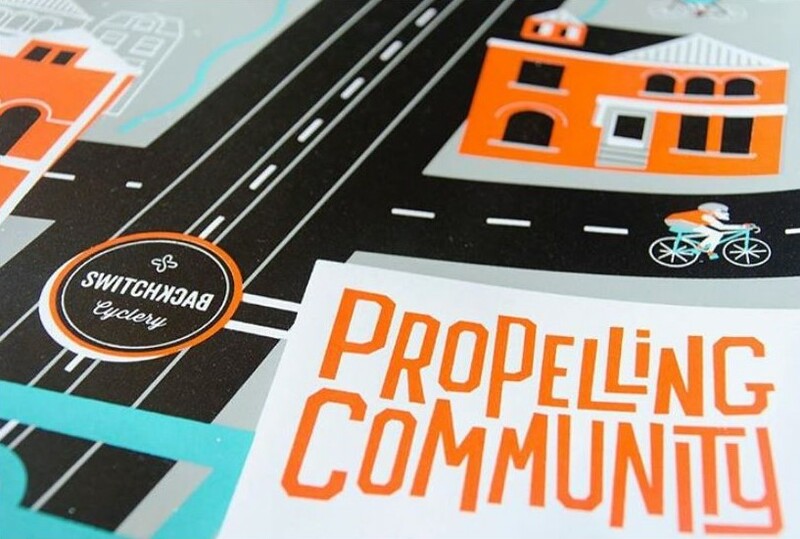 ‘Propelling community’ began with a desire to be able to provide stable, long-term employment and support to members of the community most at risk of being isolated due to mental health and other obstacles. The team at Switchback Cyclery are a small crew of individuals who have faced obstacles including homelessness, rejection, abuse and mental and physical health problems. Switchback offers supported technical training, employment security and wraparound supports, enabling employees to overcome the barriers preventing them full entry into the labor market. 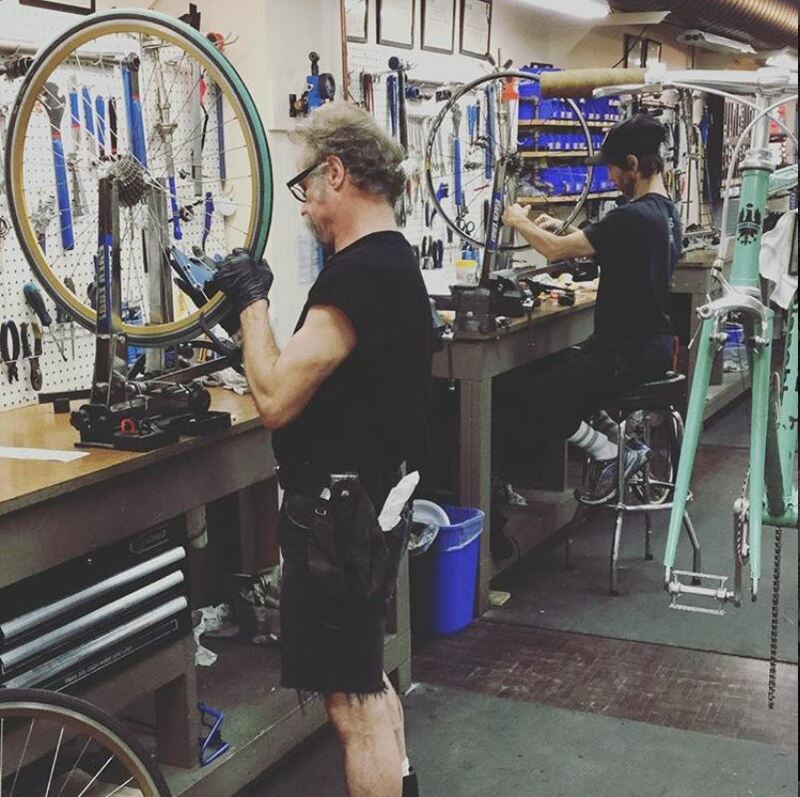 The development and growth of meaningful relationships at Switchback is one of the most rewarding products of the work achieved by employees, says Steve, who believes that building and repairing bikes is a vital part of their business, alongside the building and repairing of their employees’ self-respect and dignity. A striking feature of the Switchback modus operandi is that “there is no exit strategy” – everyone in the team is in it for the long run. This is a key difference between social enterprises and conventional businesses. Most traditional businesses aspire of going to scale, and having a presence in multiple cities, perhaps even climbing the international ladder of business, and this makes sense. When profit is the motivating factor, scale can equal more surpluses. When profit is a consequence of good business, and the motivating factor is daily impact with individuals and the ability to know people well and know them in depth, that’s where scale matters less. Social enterprises as a rule are content being located within a small community of interest and doing high quality work with a small number of people. Where social enterprises do have an element of scale is the growing global presence of social enterprises, each working to achieve social goals in their individual communities. Employment social enterprises like Switchback Cyclery are particularly important in allowing people who are uneconomical from a profit perspective to be able and empowered to access the labor market and contribute socially and economically to the system that has sustained them for years. Ensuring value proposition for the public is another aspect of business that requires a certain amount of flexibility and planning to ensure that jobs are completed to the highest standard. Notably, this is not a factor unique to social enterprises, most workplaces have rotas and procedures in place to cope with emergency and absence, but flexibility is a useful asset to have when the majority of employees are themselves coping with unpredictable mental health challenges. The focus of Switchback Cyclery is not on scale, but on impact. Talking to Steve, it’s clear that the philosophy at Switchback is that “it’s not about how many people you impact, but how you impact those people.” Being able to affect people and change lives not on a volume basis but by giving this person the chances and opportunities to construct relationships and a life they never had before is the essence of a social enterprise victory. A consequence of our capitalist society is that many social enterprises are judged on their success based not on the holistic or perpetuating quality of their work, but on the measurable quantity of impacted people. Switchback Cyclery has a philosophy, stated clearly on their website: “We encourage repair over replacement wherever possible.” Looking at their employees, it’s clear to see that repair does and has worked here, enabling this small collection of people from the fringes to flourish under the productivity of regular work and reap the collective and individual benefits of engaging with society again. The team at Switchback are firm believers that social enterprise is proof that there’s more than one way to bring joy into your life than your bottom line. They see the increase of employment of people with mental health challenges as an incrementally shifting movement within the labor market, which will continue to grow with the injection of new thinking and social change into the agendas of business and politics. At Switchback, the pace of life enables staff to engage in and develop the healthy relationships which have been missing from their lives so far, creating a community of affect within this small Toronto neighborhood. The scale of Switchback Cyclery may never be global, but they are creating social value and impact which is spreading across borders and helping to permeate the business culture they seek to change. However, it’s worth noting that these monumental triumphs aren’t the everyday, in fact, it’s only after a lot of everyday failure that Steve has been able to stand back and admire the overall success and thriving social business they’ve created together at Switchback. Employment social enterprises and working with vulnerable individuals absolutely isn’t for the faint of heart, and you have to love people, and be totally engaged with the social ramifications of what you’re hoping to achieve. Switchback Cyclery has disregarded the fundamental economies of scale with the objectives of creating immense social value and transforming the lives of a handful of people who are willing and able to work hard every day. The best piece of advice Steve would give? He compared Switchback Cyclery with Michael Jordan, not that they’re the greatest basketball player of all time, not yet at least, but absolutely missing more goals than they shoot for.